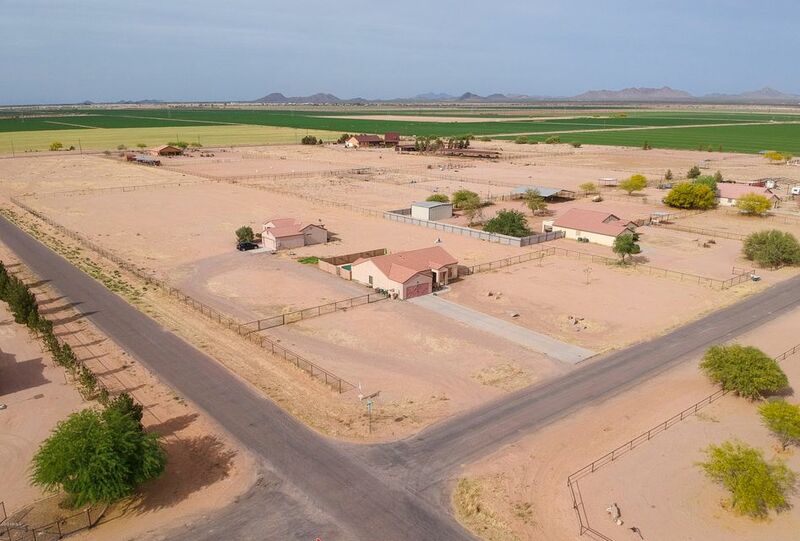 All Stanfield homes currently listed for sale in Stanfield as of 04/25/2019 are shown below. You can change the search criteria at any time by pressing the 'Change Search' button below. If you have any questions or you would like more information about any Stanfield homes for sale or other Stanfield real estate, please contact us and one of our knowledgeable Stanfield REALTORS® would be pleased to assist you. "'DENIM & DIAMONDS'THIS LUXURIOUS 4BDRM+DEN/2.5 BATH/4 CAR EXT GARAGE, SPLIT FLRPLN HOME IS UNIQUE FROM THE ROAD W/ A SLATE ROCK, WOOD WRAPPED EXTERIOR FRONT W/ WAGON WHEEL HIGHLIGHTS. ORIGINALLY BUILT W/ OVER $60K IN UPGRADES THE INTERIOR BOASTS A ROCK FIREPLACE, RAISED KNOTTY ALDER INTERIOR/EXTERIOR DOORS & CABINETRY,UPGRADED WOOD LAMINATE FLOORING,CHIZZLED GRANITE EDGE COUNTERTOPS THAT ARE SURROUNDED BY THE UPGRADED S/S APPLIANCES, INCLUDING THE GAS STOVE/ DBL OVENS, AS WELL AS ALL THE OIL "
"Rare opportunity! In 1994 this cotton gin was converted into a unique 7,500+ square foot 4 bed 4bath home! 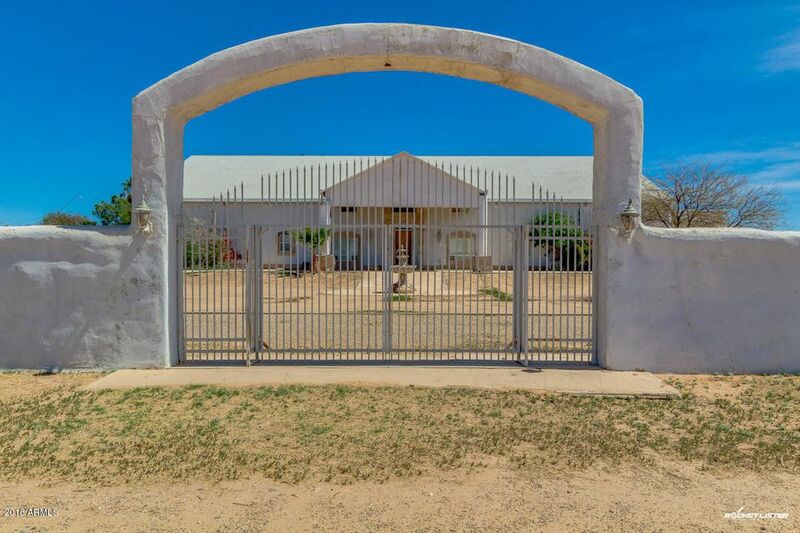 This magnificent and unique property offers slate floors, energy efficient hay bail insulation, 2 enormous master bedrooms and baths. 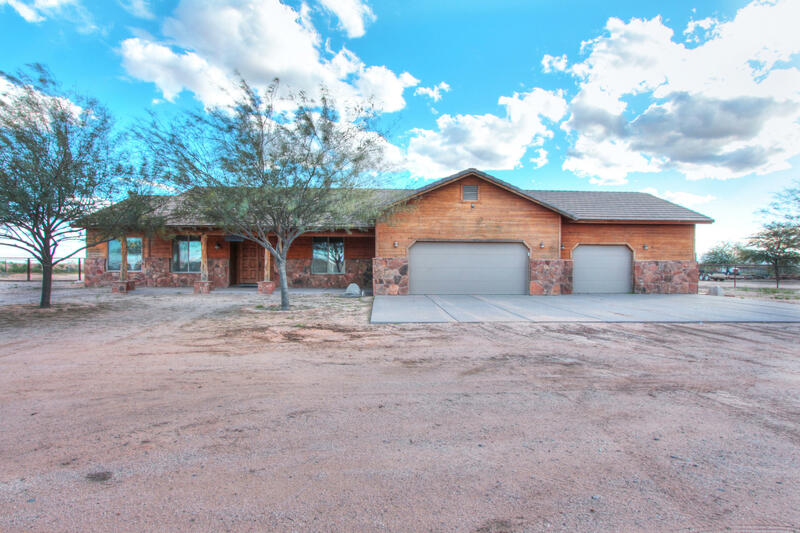 2 Fire places, a wet bar in the loft area, basketball court, balcony, covered patio, large garage w 1/2 bath is located on 12.484ac of land (mixed zoning) Property is being offered AS-IS, sellers have never occupied home and will require buyer to waive SPD"
"Best Bang For Your Buck,TWO HOMES FOR THE PRICE OF ONE!This Wonderful Fully Fenced,Corner Lot is Located on 3.5 Acres in a High Demand Community of Santa Rosa Ranchos,w/ Gorgeous Mountain Views,Starry Nights,Beautiful Sunsets,PAVED ROADS,CITY WATER,CCRS & NO HOA.The Main House Features 3 bedrooms 2 baths w/ Neutral Flooring, Some Decorator Accent Paint,Raised Panel Doors & Cabinets,2'' Faux Wood Blinds,Vaulted Ceilings & Much More. Then Step Out to a Backyard Oasis Featuring Extended Cover Patio"